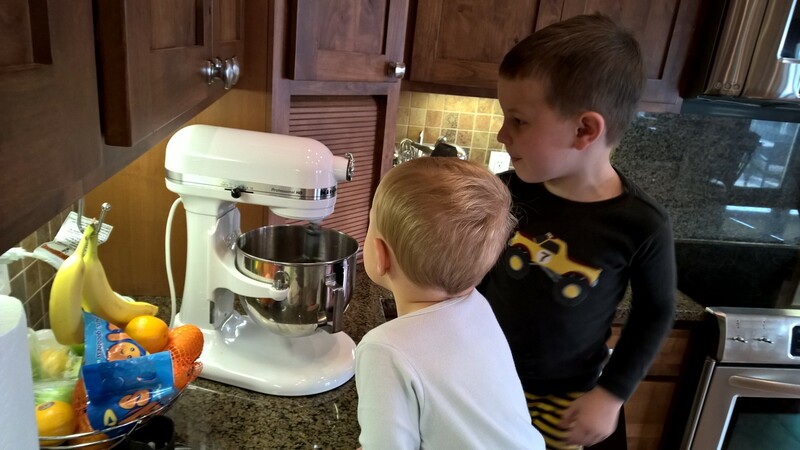 Friday Favorites – Holiday Season is On! We’ve had a pretty darn good week around here, but there have been sprinklings of sadness along the way. In times like these, I like to really focus on the good stuff, the stuff that keeps my heart happy. With these two boys, Hottie, and the Thanksgiving holiday, I’ve done a pretty good job of keeping my head up while my heart’s been heavy. It was another productive week around the house. We’re getting pretty good at starting and wrapping up projects within a weekend. 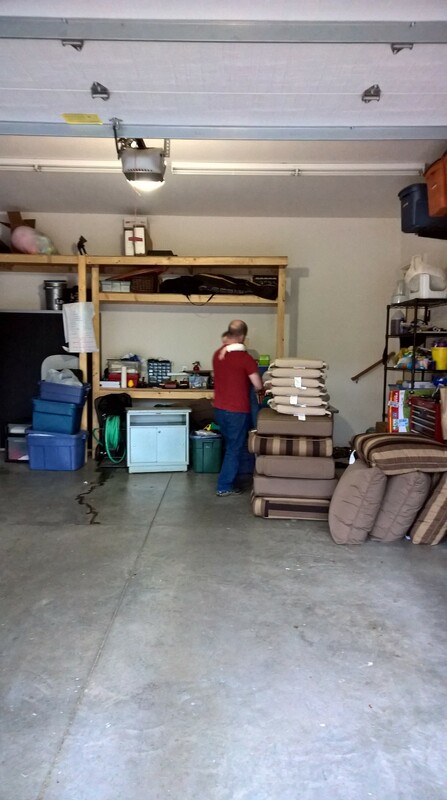 Our garage is organized (enough), more stuff is sold, a Christmas tree was chopped down and moved in, and Bryson’s car seat is now properly installed. That’s enough for one week, I think! My boys get along really well, until they don’t. Recently, there’s been a lot of nit-picking and fighting over ridiculous things (and so it begins, right?). 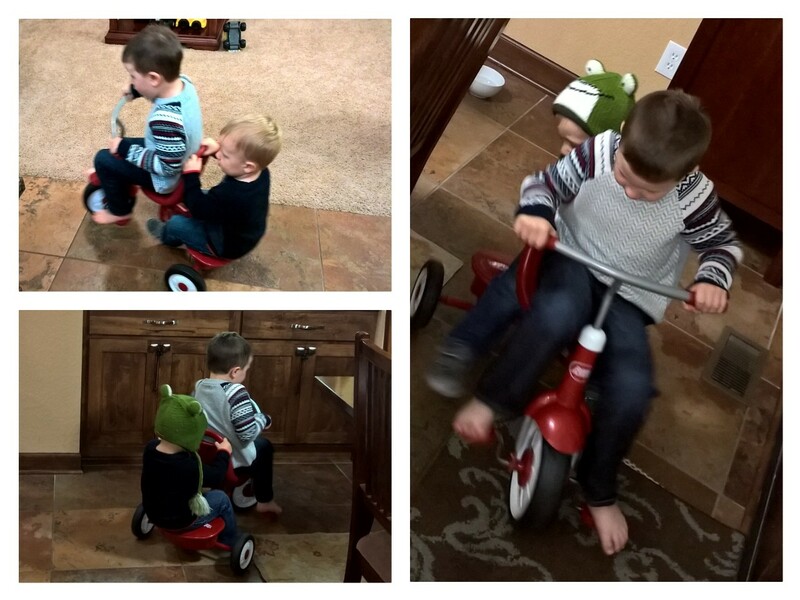 One of the things that makes them absolutely CRAZY is the little trike we let them ride in the house. 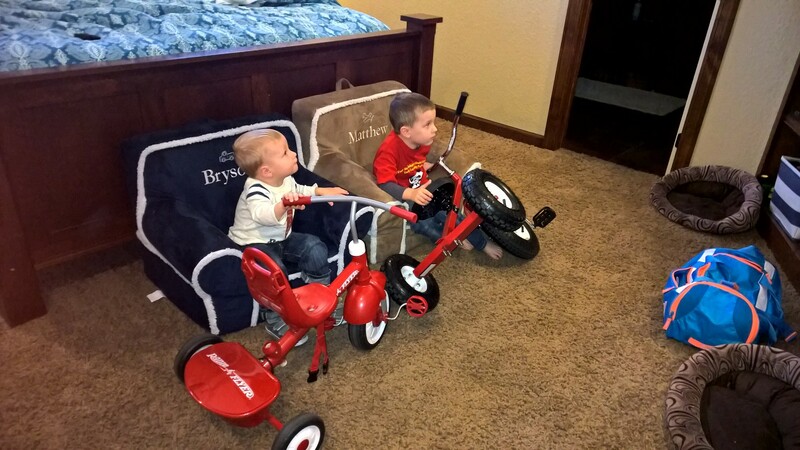 It really is Bryson’s because it’s his size and Matthew has a bigger one that he fits better on, but they both love to ride the little trike and will stop at nothing to get a chance at it. Bryson is very possessive and likes to HOLD his trike in his lap when he’s watching TV. This does not count as being in his possession or use so Matthew will often times walk right up and take it from him. So the cycle begins. But the other day, they were fighting over the trike and then… silence followed by… laughter. They came in riding together like this, and now they do it every day, many times a day! No, it’s not terribly safe and yes, Bryson’s head comes to many dangerous spots at that level, but they’re having fun together and solving their own problems without us. WIN! Hottie’s coworker texted me on Saturday morning and said she was picking me up for an in-home craft show right near our house. It had snowed, we were snowed in, so I said, “yes please!” Once there, she bought nothing and I bought this awesome orange shawl. I absolutely love it and it is WARM, but of course, it started unraveling that night. It’s currently at the tailor’s being fixed making my “craft show shawl” even more expensive than I wanted to report here ($40 for the shawl, $7.50 for the fix = $47.50 for a blanket with a hole for my head). But… it’s my favorite color and I really LOVE it! 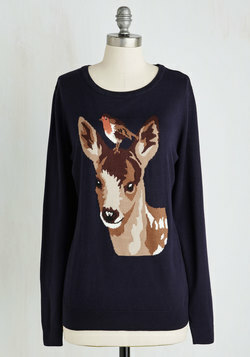 Paired here with EB straight leg jeans and Born boots (along with an ancient Ann Taylor brown turtleneck). This one is easy – Thanksgiving (Thursday), of course! Hottie’s parents do not enjoy cooking like we do, and if you’ve read me long enough, you know that holiday meals are not as tasty as I’m used to having been raised by a guy who loves to cook. Every year, Hottie and I take more and more on and this year, we covered LOTS of bases! We brought homemade coffee cake (baked the night before to save time), homemade apple pie (baked a month ago and frozen), butternut squash soup (made and frozen 2 weeks ago), and peppermint and mint-chip ice cream bars (made two days ago). When we got there, we cut into the coffee cake and then we basically took over the kitchen and cooked together for a couple of hours. We didn’t want a dinner without gravy so we winged it with a milk gravy recipe I found online and it turned out great! I’m not sure how ONE person could have made the gravy – it was THAT complicated – but that doesn’t matter since there were two of us. We finished up the turkey, casseroles, and stuffing and made mashed potatoes – dinner was served (oh, and we brought wine… lots of wine). Dessert was an hour later and along with the pumpkin pies and peach pie that Hottie’s mom made, we had lots to choose from. All the kids had my ice cream bars, I had apple pie and half an ice cream bar, Hottie had pumpkin pie and apple pie, and Bryson had “crunchy cake” (coffee cake). Everyone was HAPPY! Turkey gravy made from onions, drippings, flour, and lots of milk! This is stupid, but I just love this shirt. 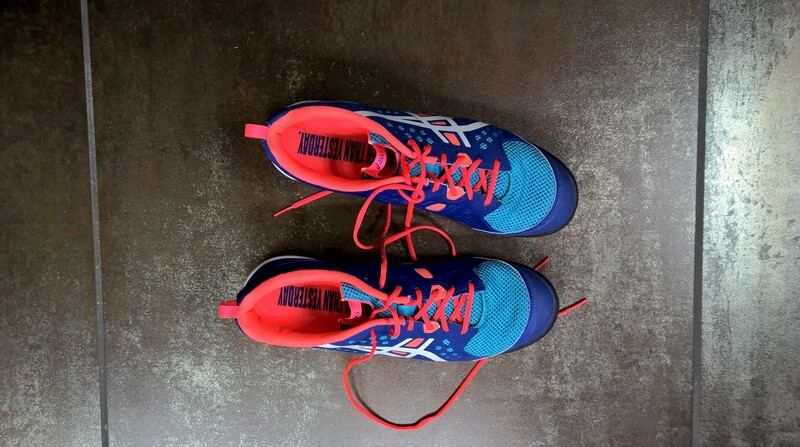 Target – mens department – $8.00. I wasn’t even a part of this project, but got in on the tail end. On Wednesday, Hottie and I decided that Matthew needed an outing with just his dad, so they went to the tree farm. I am told that once there, Matthew took his job of picking out the tree very seriously and grabbed his measuring stick before heading out on his hunt. He found a great tree after much deliberation and insisted on helping the dude load it up on the truck. Hottie said that Matthew watched very carefully to make sure that our tree made it back to the parking lot where they tied it to the roof of the car (there is just something so festive about that!). They then headed to the mall and that’s about when Bryson woke up so we went there too to hit up the PBKids 20% off sale for Bryson’s comforter. As we pulled into the parking lot, Bryson yelled out, “It’s a Christmas tree car, Mom!” He spotted OUR car with OUR tree on top, but didn’t know it was ours. It was adorable, and fun! We took photos! I had to take a selfie! After playing at PBKids, eating dinner together as a family at chick-fil-we-hate-gays, and checking out all of the super fun mall kiosks (groan), Hottie decided to take Matthew on one more errand and I kept Bryson to pick up a very special gift. It took FOREVER to get Bryson to the other end of the mall without a stroller, but we had nothing but time. 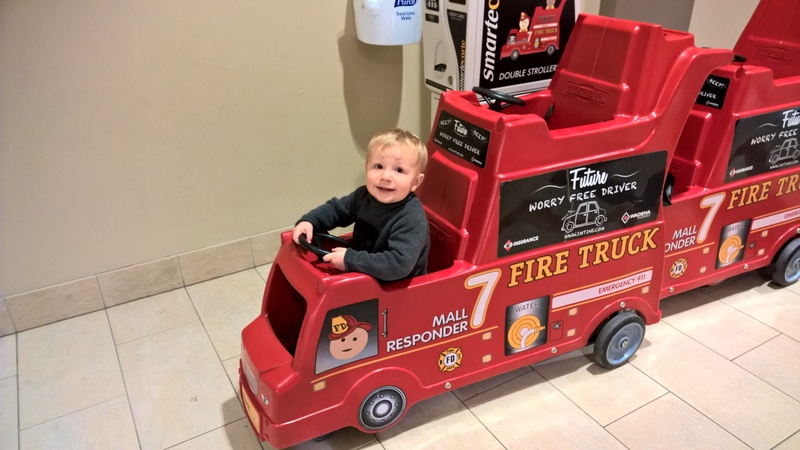 He spotted the mall strollers in the shapes of fire engines and, well, we were there for quite a while playing firemen. I forgot how easy and fun it is going to the mall with just one kid! This is a big one… and one I’m not proud of. 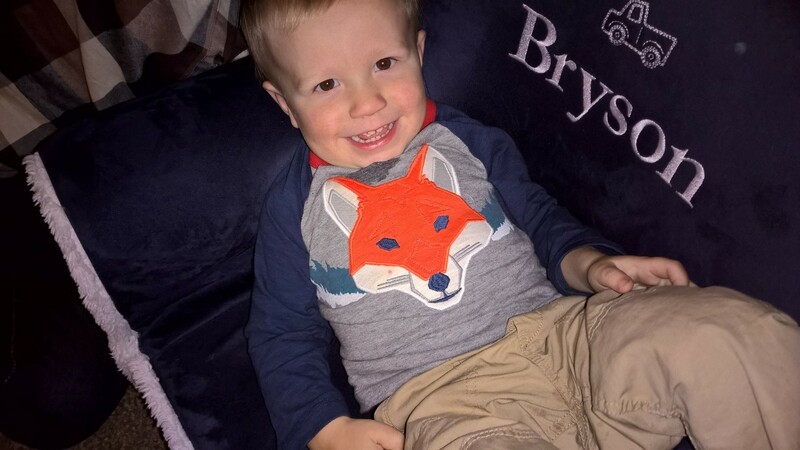 We decided to turn Bryson’s car seat around to be front facing (yes, I know the research, please don’t send me resources) and his seat is different from Matthew’s and the Britax. I absolutely despise his seat, but it was the best option at the time (I needed a full convertible from infancy to 120 pounds in a booster. I LOVE Matthew’s seat but it has a 30 pound weight minimum and is forward facing only, and we needed this seat when Bryson was less than a year old). Anyway, I installed it and forgot that I wasn’t installing one of the easy seats, and I installed it WRONG! Not only did I not thread things properly, I also didn’t know about some extender that needed to be put on his chest straps. We drove to and from Hottie’s parents’ house (1 hour each way) on Thanksgiving with our child in an improperly installed car seat. Good God. The only reason I even thought about it was that he couldn’t sleep in it, it was tilted too far forward, so I researched the recline. Turns out, it was all screwed up. 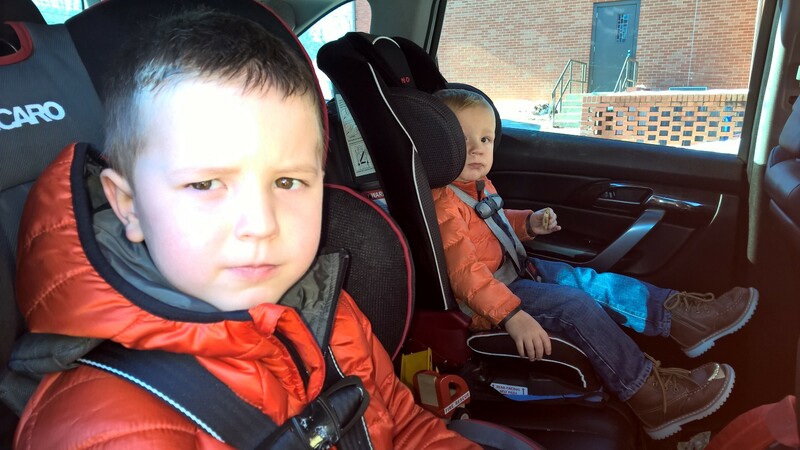 So – his seat is not properly installed and no harm no foul… but I still hate that seat! One of our trees is up and decorated! Matthew insists on decorating every single night, but we’re not fully ready yet. 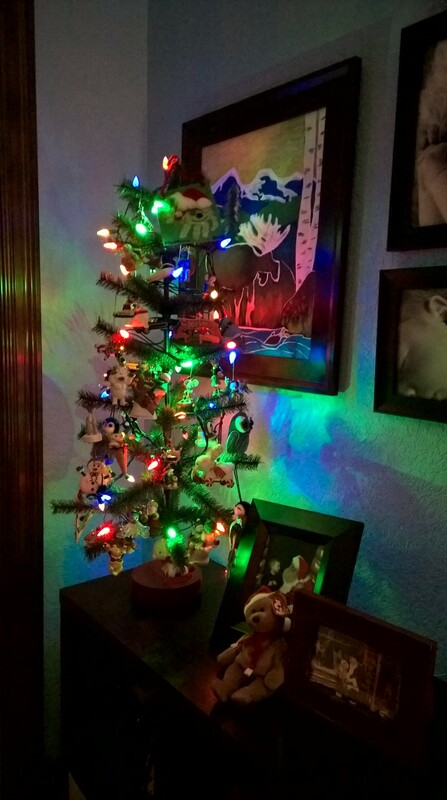 So… I got out his little tree and set it up for him. He lost interest quickly, because he said his tummy hurt from all of the food. Bryson and I lit and decorated the tree for him and an hour later, Matthew spewed all over my bedroom floor. Huzzah! Categories: Caking, Fashion?, Friday Favorites, FUN!, Holidays | Permalink. I did a TERRIBLE job of remembering my favorite things of the week. I snapped some photos here and there, but I must have been in a funk. My kids do really well at the mall until… I’m in a line. 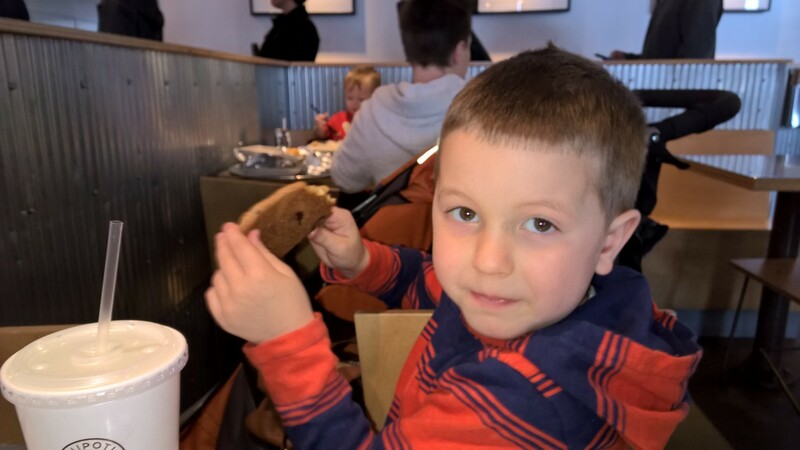 They both lost their minds as I was ordering their Chipotle and the guy behind me told me how much Matthew reminded him of his son… And that it really does get easier every year. Truly what I needed to hear (it’s usually men who say the right thing in situations like this). We chatted, I thanked him for his kind words, and we went on our way. Until he came back 10 minutes later with a cookie for each of the boys, saying he waited until he saw that they ate a good lunch. He told the boys to be nice to their mom the rest of the day. And then Matthew said, “that man is very nice!”. Yes… Yes he is. 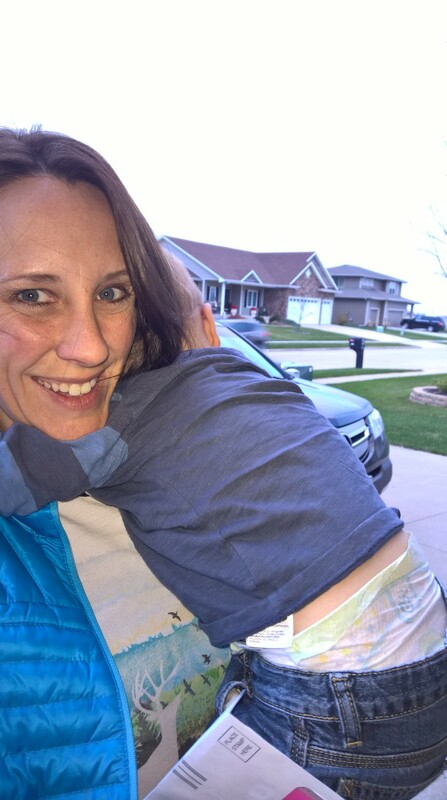 This parenting moment reminded me that we have ALL been there, and that the only thing to say to other parents in difficult situations is that… we have ALL been there and that they’re doing great. Our weekend was soooo busy with family! My aunt and her guy were in town on Saturday for a visit. 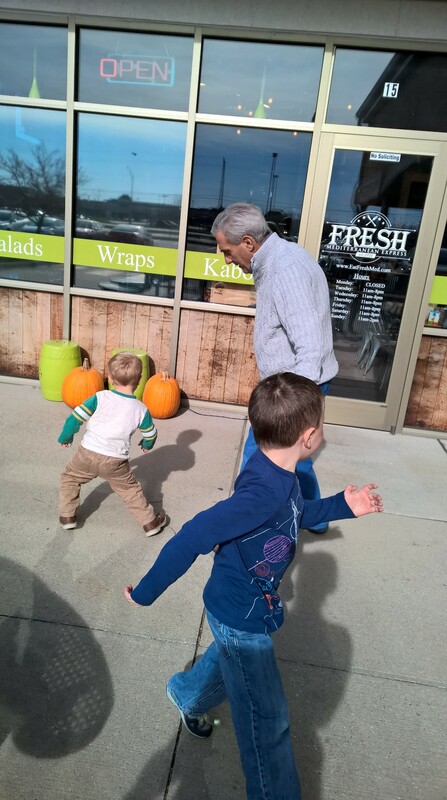 The boys LOVE them like grandparents – well – differently than grandparents because they are so young at heart and act like kids with the boys. They do everything with my kids that my parents don’t. They are engaged, loving, and fun, fun, fun! 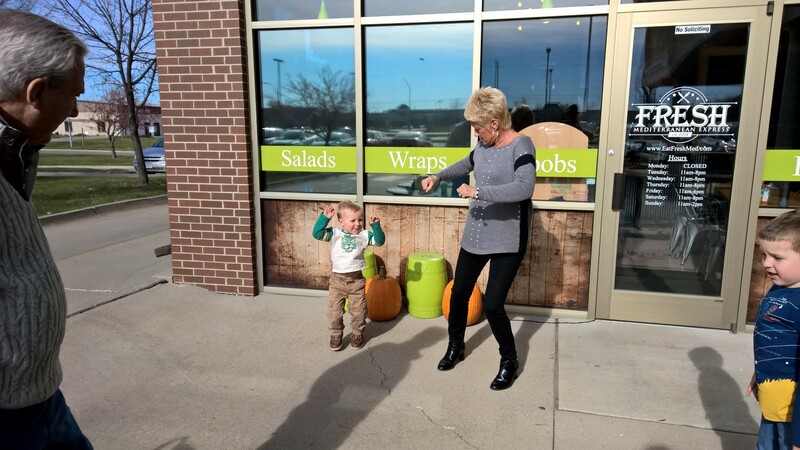 I took these quick photos of the boys dancing with them outside our favorite restaurant! 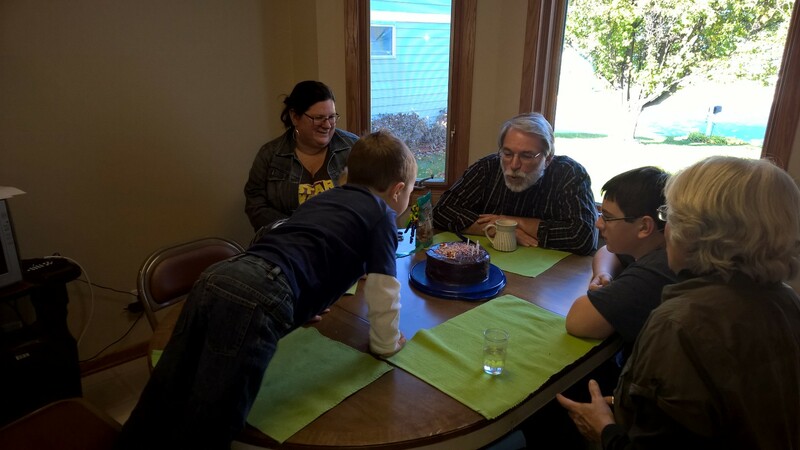 We headed to Hottie’s parents’ on Sunday for his dad’s birthday. The boys and I made him a chocolate cake with super rich ganache frosting. The boys decorated it and we headed up, made lunch for everyone, had cake, and over-stayed our welcome (not really, because they are never ready for the kids to leave). Hottie’s parents are everything my parents aren’t, and the boys feel sooooo loved by them. We love going there! New Year’s Eve is almost around the corner and I have the dress and earrings, but no necklace. I have been shopping for something to match the earrings and just could not find anything cheap. 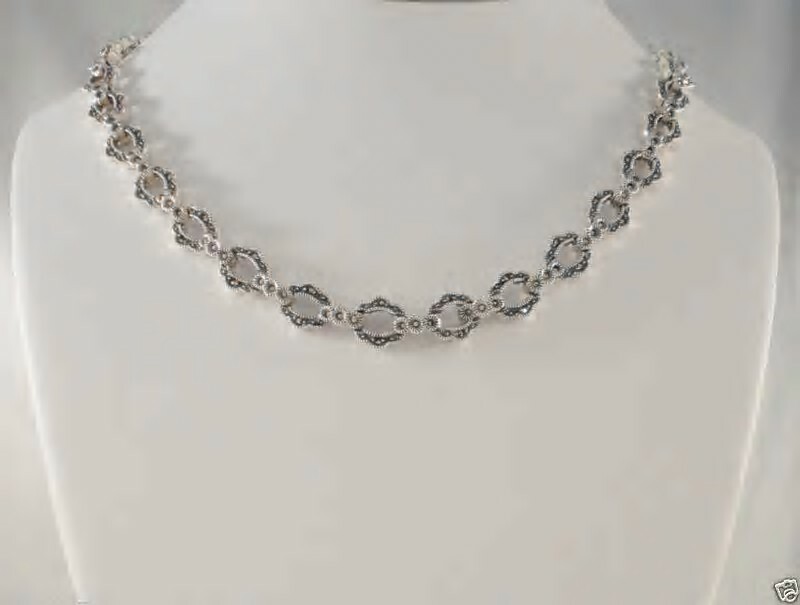 I do have an old marcasite Judith Jack necklace but the style doesn’t match the earrings. So Hottie and I started searching on Ebay for something that would match the earrings and we found something that I LOVED, but it was more money than I wanted to spend. I really wanted to spend $20.00 max. HA! He is still so thoughtful after 9 years together! He said he knew I wouldn’t spend the money, and he didn’t want me to have to worry about it so he got it. My heart melted! I live and breathe my FB feed – but I don’t pay too close attention to where the posts come from. I saw some fitness challenge and assumed it was for the fitness group I’m in, so I did it. It.Was.Not.Easy. 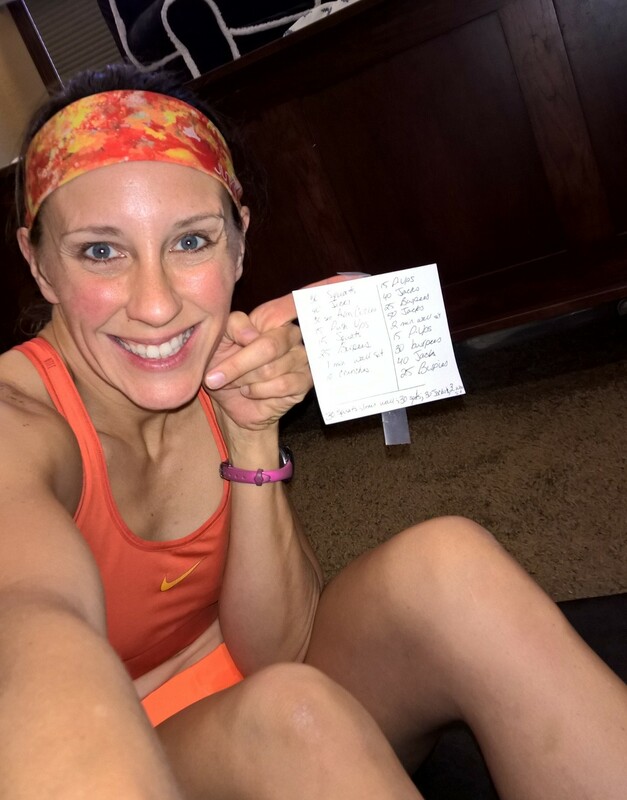 Took me 27 minutes, and burned 200 calories, so I added 3 minutes of abs to get me to a full hour today. I’ll be doing that again! We had a busy weekend and the drive home from Hottie’s folks’ put both boys to sleep. I took one, Hottie took the other. This never happens, and I really eat it up when it does. Double quiet loves at the same time! Categories: Caking, Fashion Overhaul, Fashion?, Friday Favorites, FUN!, Holidays | Permalink. Friday Favorites – A Good Week! What a fun week we’ve had! There have been projects and cooking and shopping and nice weather! The week ended rough with serious wind storms that kept us indoors, but we compensated! 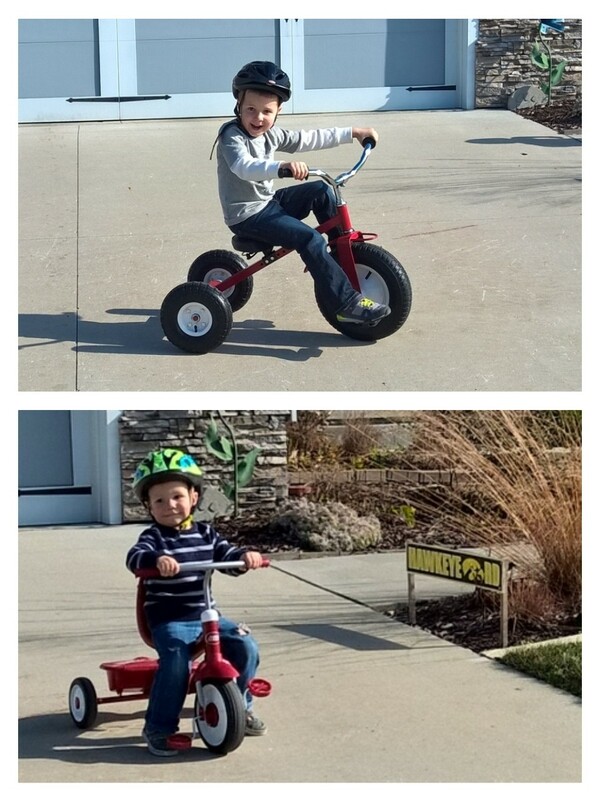 My boys love their trikes, and the first half of the week we had tremendous weather. I’ve never been thrilled with our house being on a through street – people blaze down our street a lot. I take the kids a street down and over to a flat cul-de-sac and let them ride in the street there. I’ve learned to actually LOVE living where we do because there are rules – YOU CANNOT RIDE DOWN THE DRIVEWAY TOWARD THE STREET – and they follow that rule. On the cul-de-sac though, I let them ride free and if we lived there, that could get tricky. 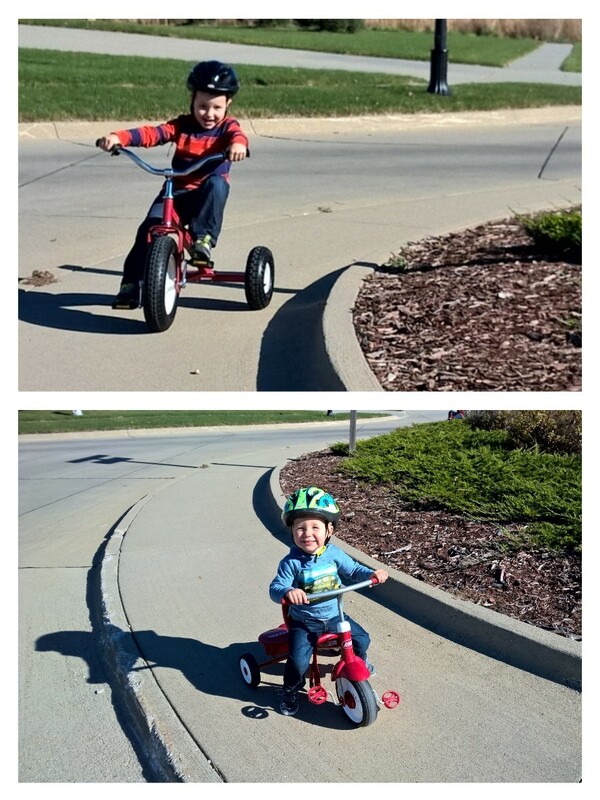 They both mastered riding down the driveways into the street (gasp!) and then asked if they could ride on our roundabouts – because you know – it’s like a race track. In the middle of the day, there’s absolutely no traffic so I take them there and let them ride in circles. I love watching them chase each other and pass each other on the narrow track. They’re loving it! 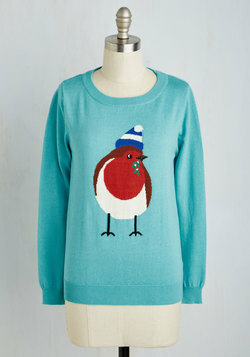 Oh this sweater! 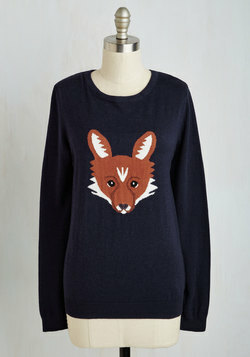 I saw it on Modcloth and had to have it – so I ordered it with my first order that included a $20 discount. It is so wonderful, so casual but tidy. I paired it with my favorite skinny jeans (BR) and my new Born boots. This felt like the perfect outfit for a cold, windy day! 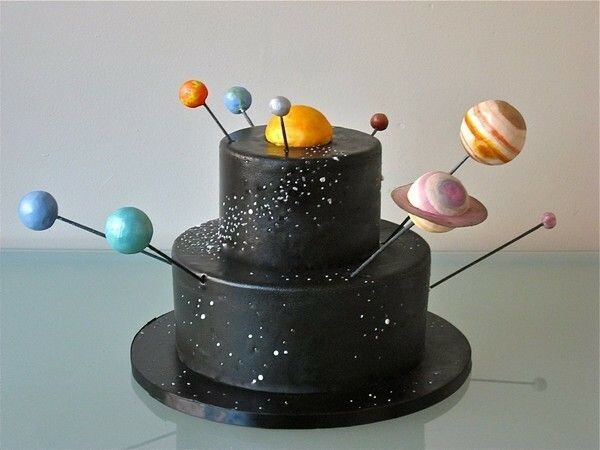 I follow a gal who makes fabulous cakes (you know who you are!) and she made something truly magnificent this past weekend. I showed Hottie and he, of course, suggested that I make the same cake this winter. Ummm… no. But it did get us to talking about the boys’ birthdays in June and I like to think ahead about the cakes. Matthew is 100%, totally and completely into space right now, and I am going to tackle one of these in June. I can’t wait! I think I can do it! 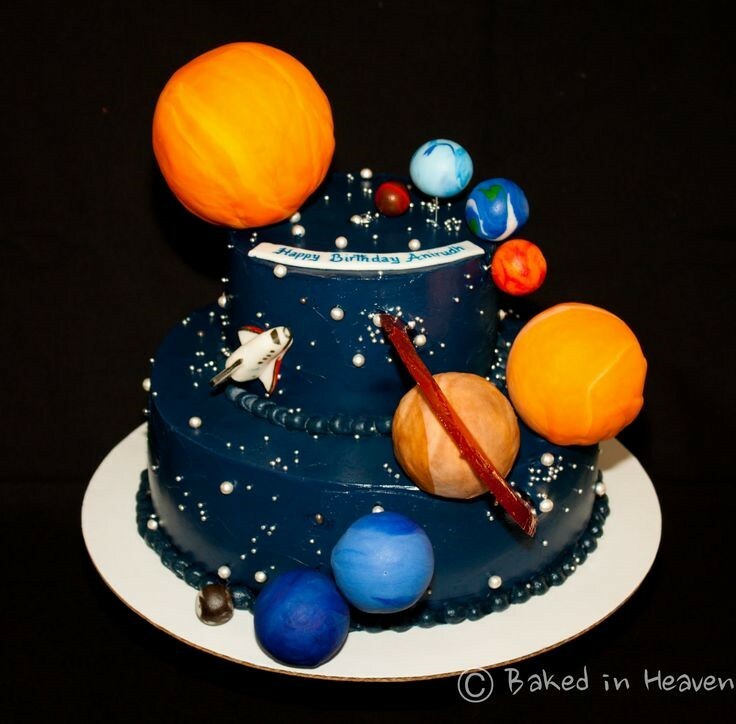 I just hope he’s still into Space by then! 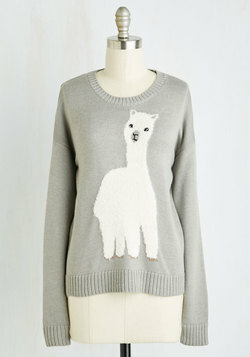 My favorite purchase of the week is right here – you’ve seen it. You know! My favorite project is, without a doubt, our exercise space. We got mats put down and the treadmill in its proper place along with the weight machine. I’m now second-guessing the elliptical trainer just because of space. We’ll see. I’m not sure how we’re going to get it into our house since it’s already put together. I have been making soups in bulk for the winter. 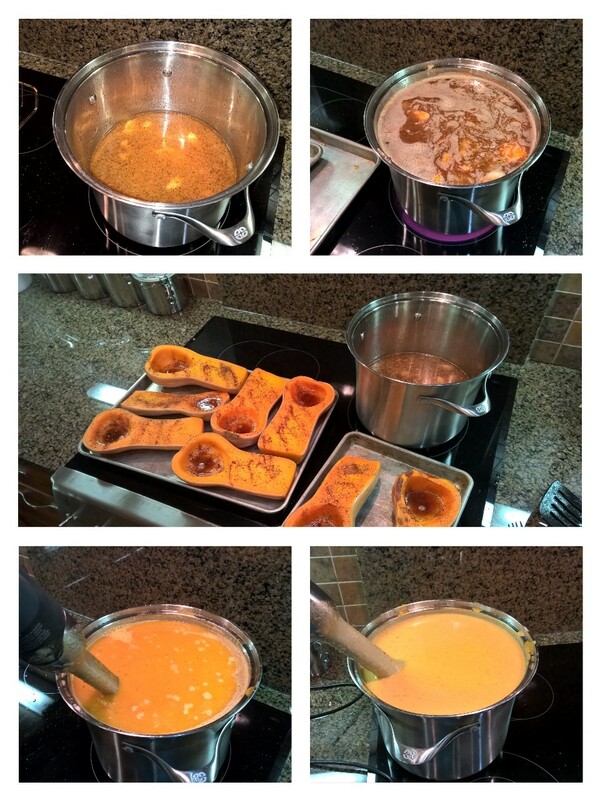 My MIL loves butternut squash soup and I’m taking a bunch to her for Thanksgiving dinner this year (I also made a pie which is ready to go). I finally made the soup and I bought way too much squash, so ended up with 8 QUARTS of soup. It’s good – it’s so comforting! Categories: Fashion?, Friday Favorites, FUN!, Holidays | Permalink. So…. On modcloth the other day, they highlighted a pair of Star Wars leggings. They were, in two words, awesome and stupid. Matthew had the day off today while Bryson was at school, so we went to Kohls to find these highly anticipated leggings. They aren’t as great as the other ones, but they do the job. And there was a shirt that *sort of* matched. Both items for $36. OK!!! Matthew asked me to wear the outfit, “for the rest of today, please.” 😁 I did not! Categories: Fashion?, Wordless Wednesday | Permalink.